Scotland international centre Nick De Luca has extended his contract with Wasps until the end of the season, at which stage he will retire. Following his retirement, De Luca will take up a post as Director of Rugby at Uppingham School. 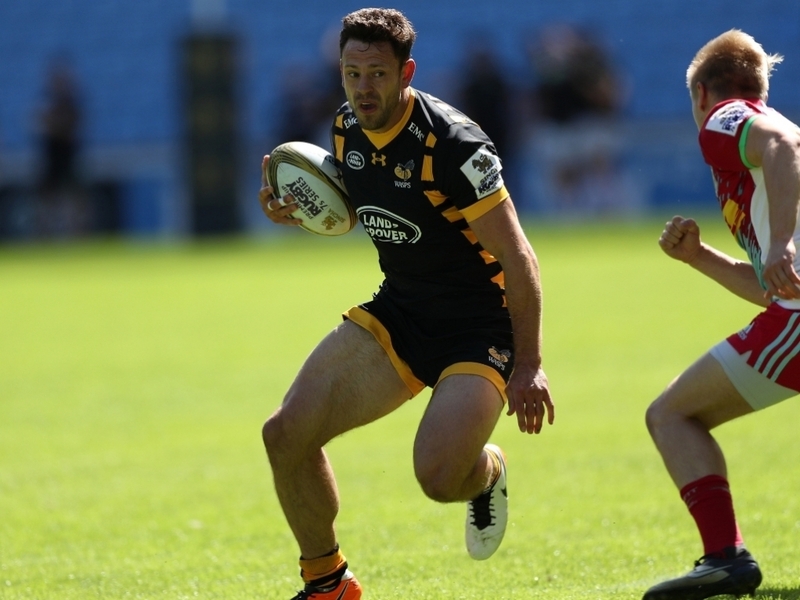 De Luca has impressed since joining Wasps on a short-term contract at the beginning of the 2016/17 season, securing a contract extension until the end of the campaign. “We are pleased Nick will be staying with us for the rest of the season. He is a model professional who has done really well each time he has pulled on the Wasps’ shirt,” said Wasps Director of Rugby Dai Young. De Luca said: “I am delighted to have extended my stay at Wasps, which was my main goal when I arrived in pre-season, and I really appreciate Dai Young backing me with this contract extension. It’s a great group of players and coaches here at Wasps, the environment is world class and I am thoroughly enjoying being part of this squad. I look forward to playing my part over the coming months and to seeing what we can achieve this season. “It has been an incredibly difficult decision to retire from the game at the end of the season, but one that was made easier after I met Uppingham School Headmaster Richard Maloney and he shared with me his vision for the school. To be able to retire from professional sport on your own terms is becoming rarer these days and I would like to thanks Chris Bell, Wasps’ Head of Off Field Player Development, for his assistance in helping me put steps in place for a smooth transition when I do hang up my boots. “I would also like to thank my wife Alissa, my mum, dad, sister, brother, sister-in-law and brother-in-law for their unwavering support, in what has been an incredible and occasionally emotional journey for us all. As any professional sportsman knows, there are ups and downs in your career and your family often bear the brunt and make the sacrifices. So a big thank you to them for their confidence in me and their support. “I have been privileged to play rugby at the highest level, to be coached by world class coaches and to work alongside and against some of the best players of my generation, during my career playing for Scotland, Edinburgh, the Borders, Biarritz and Wasps. I thank each of the coaches who helped me develop as a player. It is through these experiences that I believe I can help the next generation of rugby stars at Uppingham achieve their goals, and also instil core values and life skills that will help every level of rugby player excel in their chosen path of life.